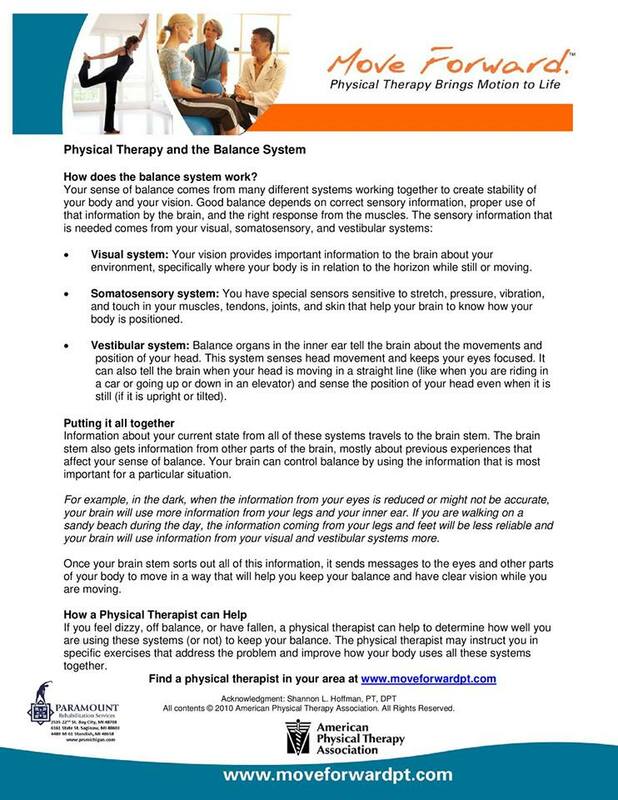 Did you know that physical therapy can improve your balance and stability to perform your normal daily activities? Paramount Rehabilitation Services offers you a comprehensive evaluation and treatment of your balance issues. We will work with you one on one to improve your ability to stand, walk and perform the tasks that are the most important to you without losing your balance.